Leading God’s people is unlike any other task in the world — which is why it requires a calling of the Spirit. In an earlier post I wrote that seminary cannot prepare anyone to be a pastor. Only a church, guided by the Holy Spirit, can truly qualify a man for ministry. By its very nature, the field of pastoral leadership is fraught with such incredible difficulties that we must say with the Apostle Paul, “Who is sufficient for these things?” Leading God’s people is unlike any other task in the world — which is why it requires a calling of the Spirit, and not merely training for a job. While I am sure there are others, I have identified a matrix of ten challenges specific to the church that make pastoring unlike anything else. 1) A pastor or church leader deals with the eternal and spiritual nature of things. Medical doctors have a stressful job of being guardians of life. Their decisions can mean life or death in some cases. A pastor, however, has the awesome responsibility of dealing with the immortal soul of man. His leadership and decisions have the potential of affecting eternity, and that is an infinitely greater burden. 2) The second challenge is that a pastor’s role is prophetic in nature. In other words, he has to look people in the eye and confront them with the uneasy subject of their sinful actions and attitudes–and no one likes that. Though he finds himself a great sinner in need of God’s grace, God holds him no less responsible to deal with the sin of others. Furthermore, the people he usually confronts are the very ones whose offerings pay his salary. 3) The pastor leads an army of volunteers. If a businessman has to correct a worker’s performance he has the leverage of a paycheck whose necessity powerfully motivates employees to do what they are asked. Workers in the church, however, do not need the job they perform in order to put food on the table and, may even have easier lives without it. How does a pastor lead a volunteer to change when she doesn’t want to? A volunteer army also means that they can unvolunteer. 4) In most churches the pastor has an unclear identity. Most congregations, as well as the pastors themselves, have never actually defined what role they want the pastor to have. They want him to lead, but they don’t want to be told what to do. In addition to that, successive pastors have different sets of gifts, which clouds the issue because it affects his style of leadership. Each member may have a different expectation of the pastor. Some want him to be a great preacher, while others demand someone who will be at the hospital bedside for every tonsillectomy. Is the pastor primarily a leader, prophet, visionary, equipper, motivator, fund-raiser or teacher? Five church members may answer that question five different ways. 5) Compounding this problem is an increasing uncertainty about church polity. Some churches see the deacons as the leaders of the church, while others see the pastor as the leader and the deacons as servants. More and more churches are turning to a plurality of elders — one of whom is the pastor- teacher — who have the oversight of the congregation. Even in a plurality of elders, whoever serves as pastor-teacher has the de facto leadership, but how does he relate to the others? 6) The church expects the pastor’s family to be involved in his work. I don’t know of any other private sector jobs that require so much family involvement. The school board doesn’t demand that the high school principal’s wife help decorate the hallways or attend all basketball games, for instance. But churches have expectations for the pastor’s wife and children that are rarely voiced in the interview with the pastor search committee even though that perception may indeed affect the pastor’s ability to lead. Many leaders in the church have lost their effectiveness because the congregation became disenchanted with his family, whether their disappointments were real or imagined. FREE BOOK: Are you called to ministry? 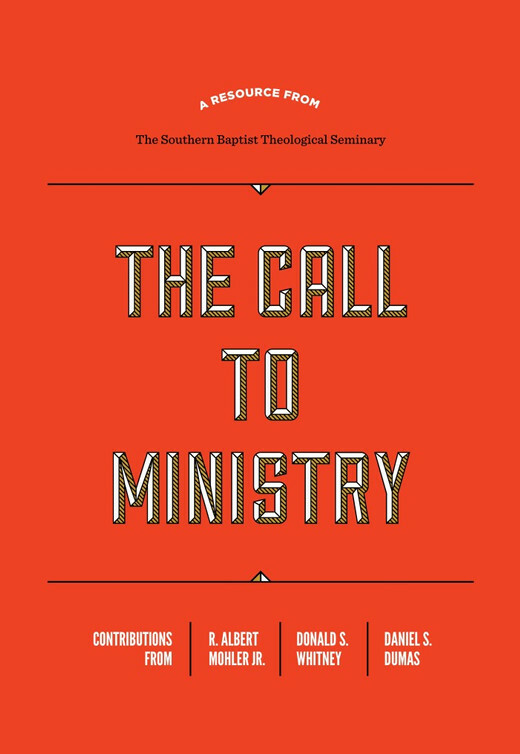 Use this free ebook to learn more about the call to ministry. 7) Another challenge of ministry that results from the expectations of the congregation is the belief that the pastor should be the initiative taker. Church members don’t demand their doctor show up on the doorstep when they don’t feel well, but they expect the pastor to take the initiative to discover why they haven’t been around. In fact, some folks will get mad about something in the church and quit attending, but later they have forgotten what upset them originally. Their complaint then becomes that the preacher never came to see them when they quit coming. 8) The demand for originality is an especially burdensome and constant pressure. If a pastor preached just two sermons a week for fifty weeks in a year, he would write the equivalent of nine novels. With that much productivity required, church members ought to forgive a dull chapter every now and then! Though the Scriptures are an inexhaustible well of subject matter, saying biblical truths in an interesting way with fresh illustrations that connect with and engage a congregation is no small feat. The pastor who cannot preach well often finds his leadership itself threatened. His pulpit ministry is his broadest stroke of contact and leadership, and if he is perceived as dull or repetitive, he loses his most influential method of leading. 9) One of the most frustrating challenges of leadership in the church is that churches often give the pastor or other leaders responsibility without authority. For instance, the congregation usually assumes that the pastor is supposed to help meet the needs of his congregation. If a family has a legitimate financial emergency, they may turn to the pastor for immediate help, but he often has no way to provide it. And if he does, some committee may later rebuke him for overspending the benevolence budget. Churches often have a “get it done” attitude toward the pastor, but then complain about the way he did it. 10) Simmering below the surface of all leadership is the pastor’s friendship development difficulty. Most pastors and their families have great difficulties making and maintaining close relationships. A church leader often finds it impossible to walk the tightrope between leadership and friendship with the same people. Leaders and their families may be afraid to confide in others, are often burned if they do, and sometimes become the victims of jealousy or resentment if they try. Because of egos larger than they should be, pastors even find it difficult to establish relationships with other ministers because they can never break out of the thought pattern of comparing churches and problems. This article was originally posted on York’s blog. Pastorwell.com.